Dean Quarry, St. Kevern, Cornwall. 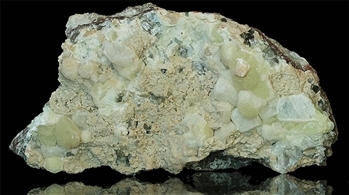 A large fairly old specimen collected in the 1960's displaying pale green prehnite in globular masses the largest is 15mm across with calcite and analcime. Excellent for the locality. 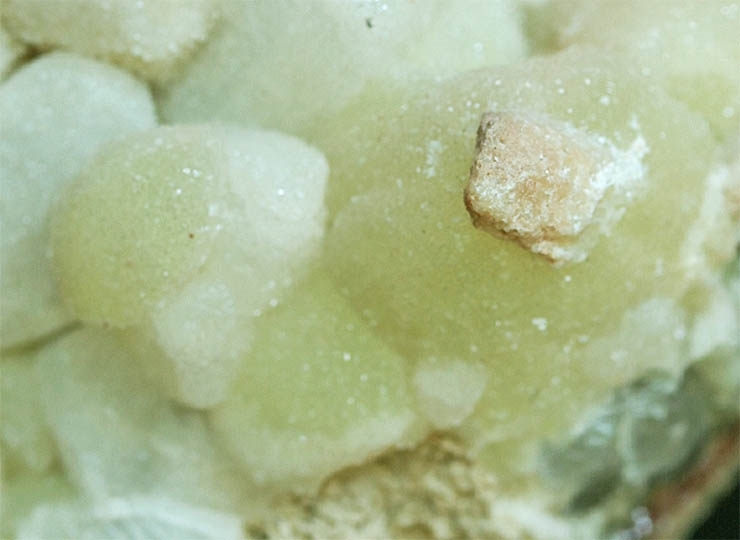 From the Harding Collection.